For those who send SMS via API, now there is an opportunity to send SMS instantly !!! For this, you need to tick the "Instant send" button in the token editing. 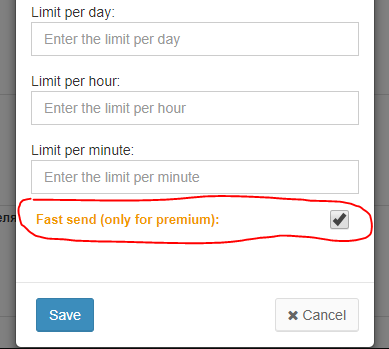 I want to note that this functionality sends sms, bypassing all limit checks and time limits, so only premium accounts can use it! For the correct operation, you need the presence of an Android account in Google, this will ensure the work of push notifications, for instant receipt of the program, sending tasks.